The annual LGBT celebration kicks off next week. Clear your diary because Stonewall’s week-long celebration of LGBT equality kicks off on Monday. 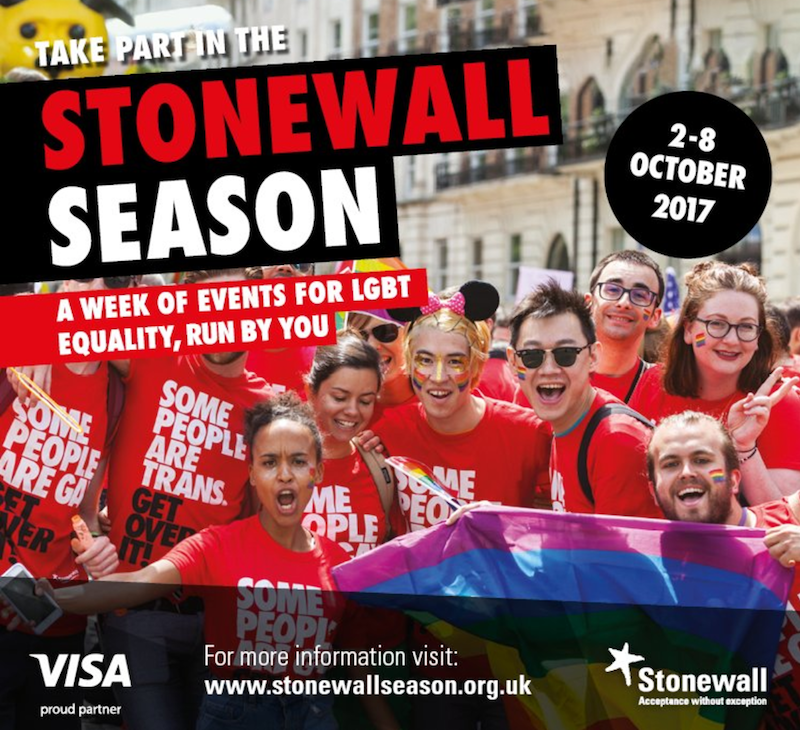 Running from 2 – 8 October, Stonewall Season aims to bring communities together, empowering people to come out in support of LGBT inclusion by organising a range of events, including bake sales, film screenings, sporting activities and club nights. Throughout the week, “Equali-teas” will be thrown across England, encouraging LGBT people and their friends, families and colleagues to get together for a cup of tea, some cake and a discussion of the big issues facing the LGBT community. Organisations including Channel 4, the University of Birmingham and the Hard Rock Café in Edinburgh are taking part in the packed programme of events. “As well as getting people together to have a good time, there’s a serious point to the Season. We need to work as part of a wider community to reach an even wider group of people with our positive message of LGBT inclusion. 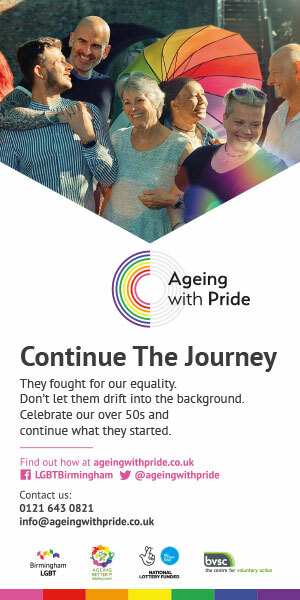 Find out more about Stonewall Season at stonewallseason.org.uk.